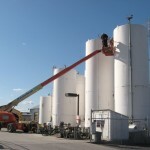 Our NDE services are conducted by certified quality technicians, experienced with multiple techniques to ensure proper examinations to accommodate our API 570, API 653, API 510 and all other inspection services provided. Ultrasonic thickness measurements on steel and metal surfaces. 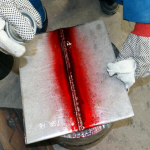 Liquid penetrant testing for detection of cracking and flaws on welds. Magnetic particle testing ( Wet and Dry ) for detection of cracking and flaws on welds and seams. 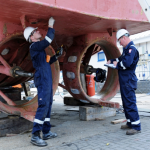 Visual inspection on industrial equipment, including bubble leak testing on seams and visual examination.